WE ARE A TEAM OF TALENTED PEOPLE THAT ARE PASSIONATE ABOUT FROZEN DESSERTS. In the Spring of 1989, from the good state of Minnesota, Sno Biz was born! Love of our flavors spread like wild fire and within the first year, Sno Biz was offered in 70 locations within the USA –and by 1992, love of the flavors went global. For almost 30 years, our Sno Biz family has a passion for quality and good ol’ fashioned customer service and still remain a Non-Franchise company! Currently, the Sno Biz Family includes over 2000 dealers in over 20 countries and almost every state in the USA. Now that’d be a fun family reunion! We are a team of talented people that are passionate about frozen desserts. We’ve created 50 mouthwatering, true-to-life flavors to make our fans go wild for Sno Biz Shave Ice, Ice Blended Coffees, and slush. With our proprietary dry powder flavor system, which is hand crafted in small batches, we expect only the freshest ingredients to flavor our Sno. Our customers know our success because they want to be a part of Sno Biz, and we welcome them with blue tongues. 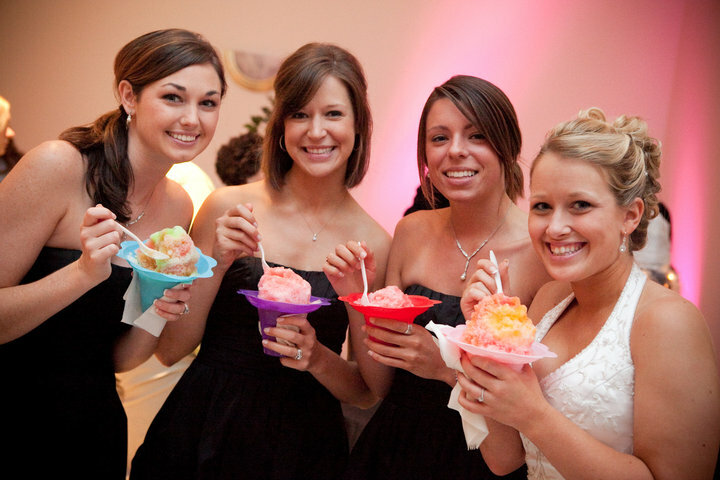 Our customers absolutely love Sno Biz shave ice! We are amazed of the stories we hear from our loyal Sno Biz fans. It starts when a little kid tastes their first Sno Biz Shave Ice and you see their ear-to-ear smile. We are grateful to be a happy part of so many lives – from youth sport teams, school events, first dates, prom and even wedding days! Our Sno Biz family celebrates being a little part of your family’s life! We love serving smiles! It has always been our goal to remain socially and environmentally responsible. 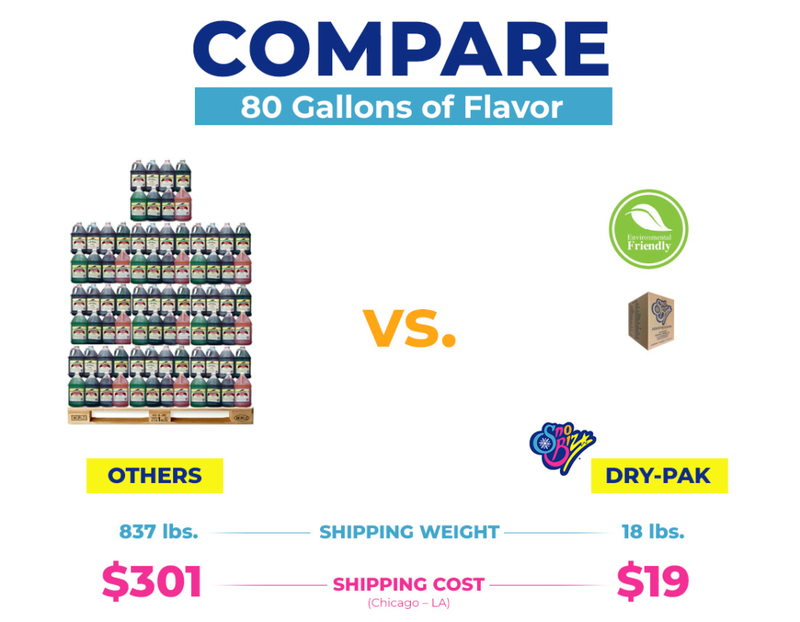 With the shave ice industry standard of producing heavy plastic jugs of flavor and then trucking them across the country, we thought there must be a better way! So we started from the ground up and after much research and taste-testing, we created the Sno Biz Dry-Pak Flavor System. Our proprietary flavor system significantly reduces the CO2 emissions generated by trucking and eliminates the plastic jug landfill waste by utilizing re-usable eco-friendly mixing and storage containers. With a more stable, longer shelf life, Sno Biz Dry-Pak Flavors are made up in-store to provide the freshest mouth-watering flavors possible. And best of all…the cost savings are also eco-nomically friendly to your wallet! In 1989, Tom and Kris Novetzke cashed in everything they owned to start a shave ice business in Minnesota, you know; one of the coldest, snowiest states in the USA? While most of their friends thought they were CRAZY, as tough Scandinavians… they persevered. The young couple with two kids and a baby were finally doing something they loved and believed in. They discovered they had a knack for helping others with a similar entrepreneur spirit to be successful to grow a profitable Sno Biz Shave Ice operation. “Having a quality product with excellent service” is still their motto today. 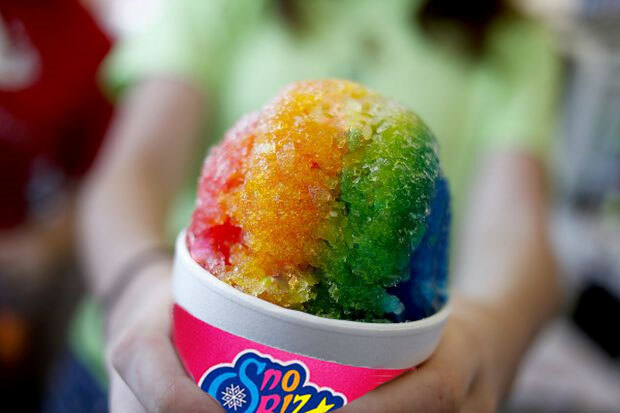 As they grew and added new operators to the Sno Biz family, they also added more products to their menu, thanks to Mark, their Director of Product Innovation a.k.a The Wizard of sn’OZ. 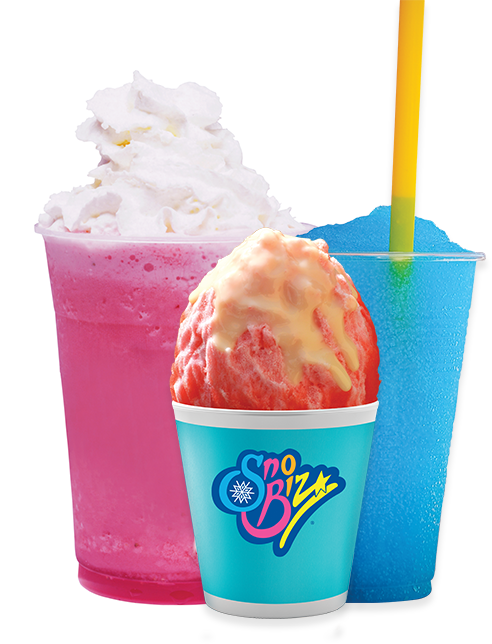 Not only was Sno Biz a shave ice company, now it offered more delicious frozen treats like Sno Blended Coffees, Slush and Smoothies. Tom went as far as adding Cotton Candy to the menu after a trusted Sno Biz operator said their powdered flavors made the best cotton candy they had ever tasted! Sno Biz was booming… so they roped in Kate, their darling daughter back in 2008. She jumped in head first not knowing much; luckily, this business is fun to learn. “Who would get upset selling smiles?” she’d say. Her personality fit well with the culture of this business and brought some new blood to Sales and Marketing. Their sons, Tommy and Ryan joined in on the fun business and now have finally understood the wisdom their father had been talking about for all these years. Having run out of kids and knowing the importance of working with smarter people than themselves, they found a third Tom, a.k.a “Getz”, the Marketing Guru to do the smart marketing stuff that makes us successful online. Eddie, Production Manager, a.k.a “Sir-Mix-A lot”, manages the hand-crafted small-batch blending and packaging process – each packet of flavor is made with LOVE (our secret ingredient). SNO BIZ IS MORE THAN A BUSINESS… WE ARE FAMILY. From our customers, to our dealers, to our employees…we trust each other as family – with love, laughter and respect. We enjoy being in this fun business… where our success is measured by the smiles we give!